Learn and practise the two different kinds of Questions tags intonation on BBC World Service: http://www.bbc.co.uk/worldservice/learningenglish/radio/specials/1634_gramchallenge2/ (click on the right). Get a summary on substitution: so and not on downloads. Find some activities on Ellipis and Substitution, lesson 6B, at Oxford University Find an activity on substitution with "so" at Warwick. 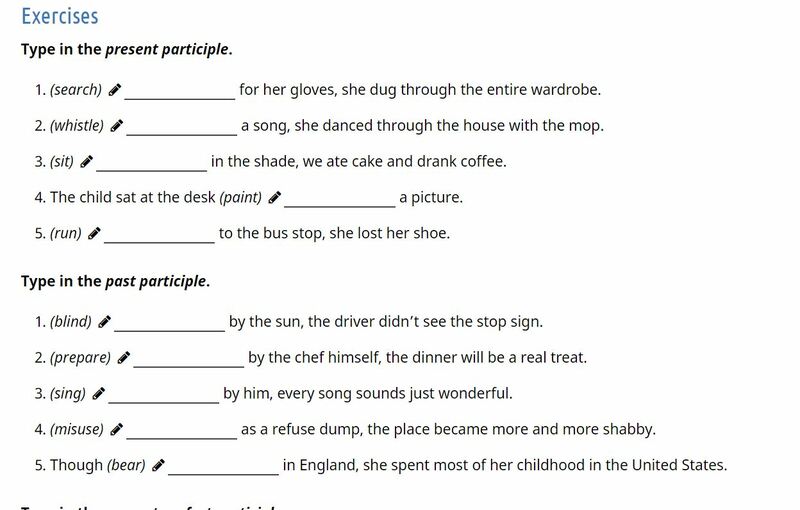 Find many more exercises on substitution and ellipsis on LLAS (Centre of Languages and Linguistic area Studies, University of Southampton) click next after finishing every activity. 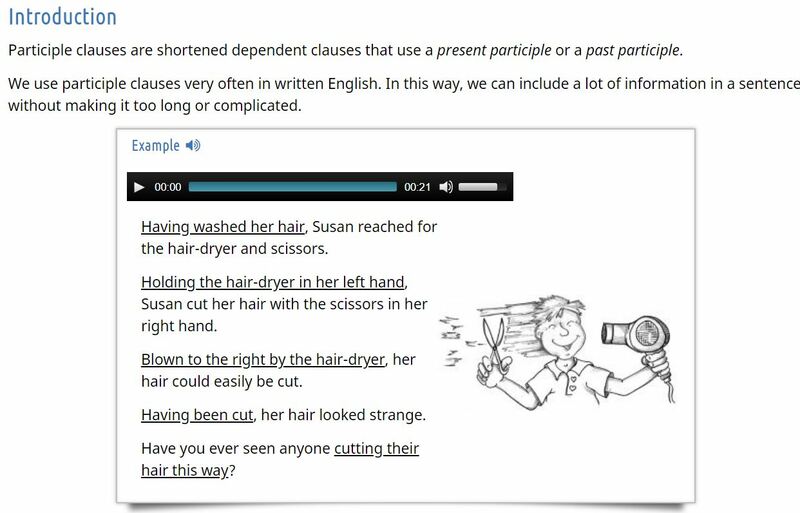 Visit EnglishLingolia to get an explanation, examples, and online activities on Participle clauses in English.